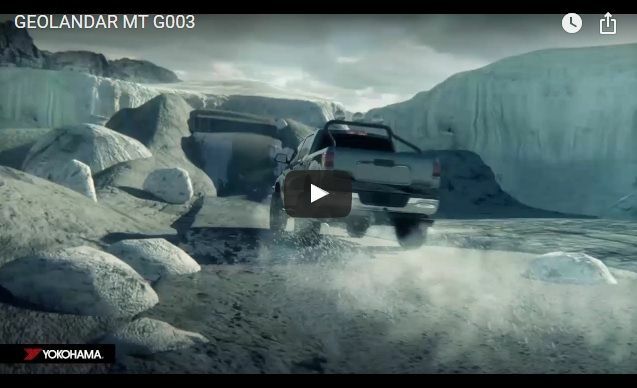 DodgeTalk : Dodge Car Forums, Dodge Truck Forums and Ram Forums > Vendors > Discount Tire > Yokohama Geolandar M/T G003 | GO STRONG! 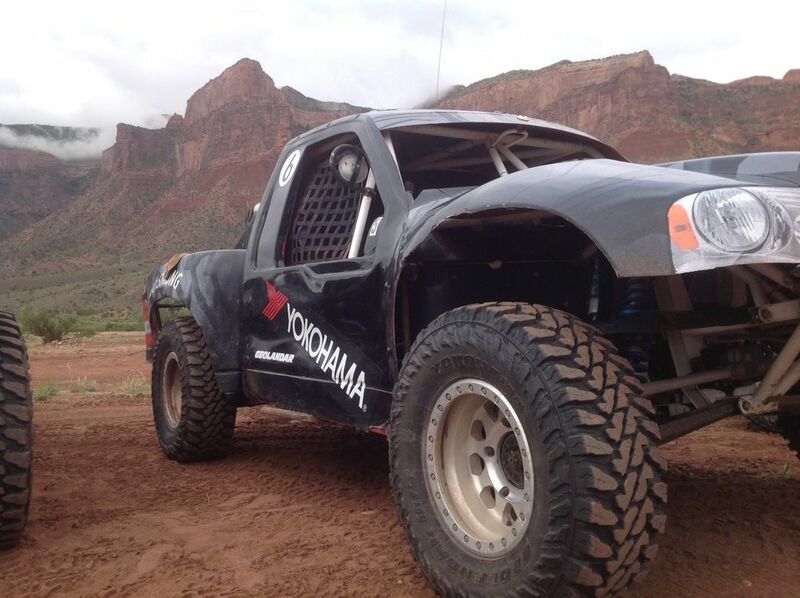 We recently were invited by Yokohama Tire to attend the launch of an exciting new tire in their off-road segment. 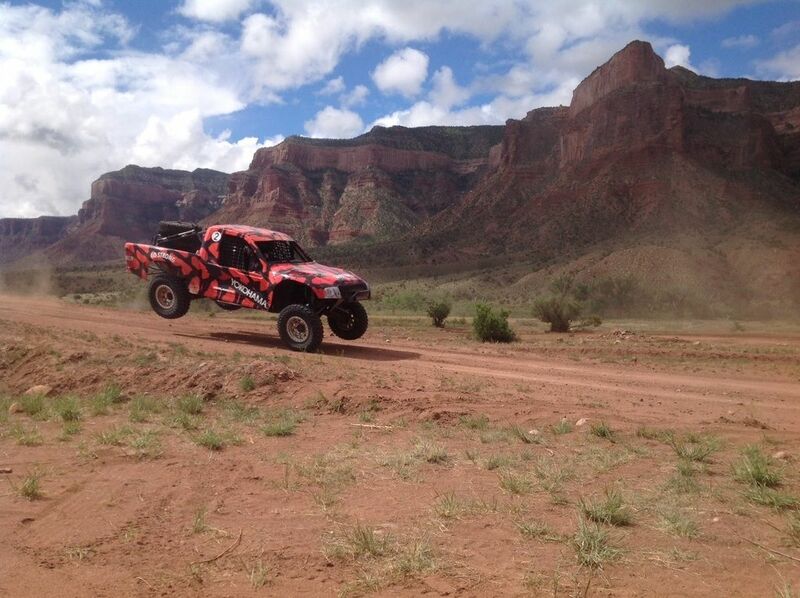 We traveled to the tiny town of Gateway, CO for some experience with this tire under harsh conditions. 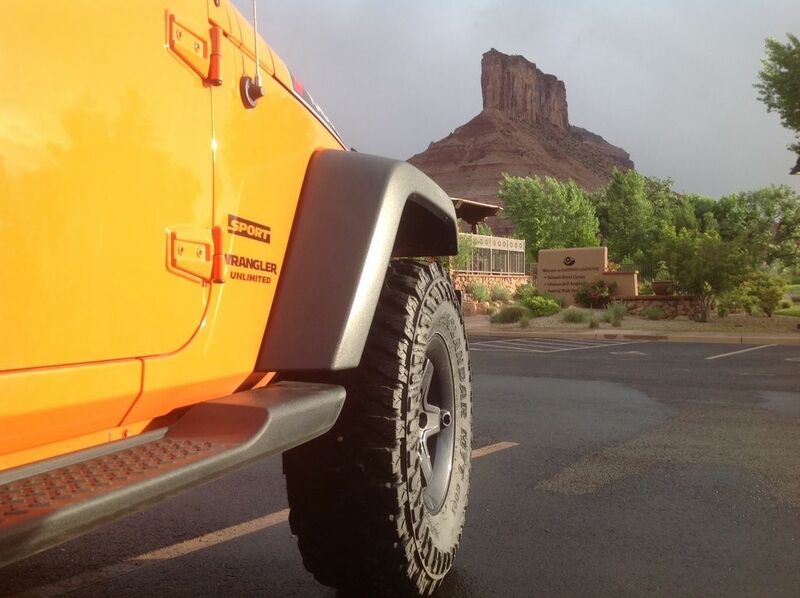 Being a short distance away from Moab, UT and at 4,600 feet, Gateway features some unique topography and terrain. Super Digger was launched ~1998 and was an immediate hit with off-road racers. This tire is still produced today in one size for the race crowd. Introducing the new Geolander M/T G003! New wide and flat contact patch, resulting in 8%. longer tread life. New rubber compound for improved cut and chip resistance. 3-ply sidewall with high turn-up. 2.3db quieter than the leading competitor's product. 51' shorter stopping distance in wet conditions. During the trip, we drove the tires in two different scenarios: A controlled closed course race environment and natural open fire roads and trails. For the closed course event, we strapped into VORE Challenge series trucks and were turned loose on a race course in the middle of a valley. Terrain consisted of hard pack, gravel over hard pack, and soft silt. In addition, there were several sharp hills which provided limited air time. The tires hooked up very well, especially in the deep silt which existed in several of the turns. No issues with any of the tires during our session, but we did note some rubbing damage on one of the race vehicles due to contact with the fender. 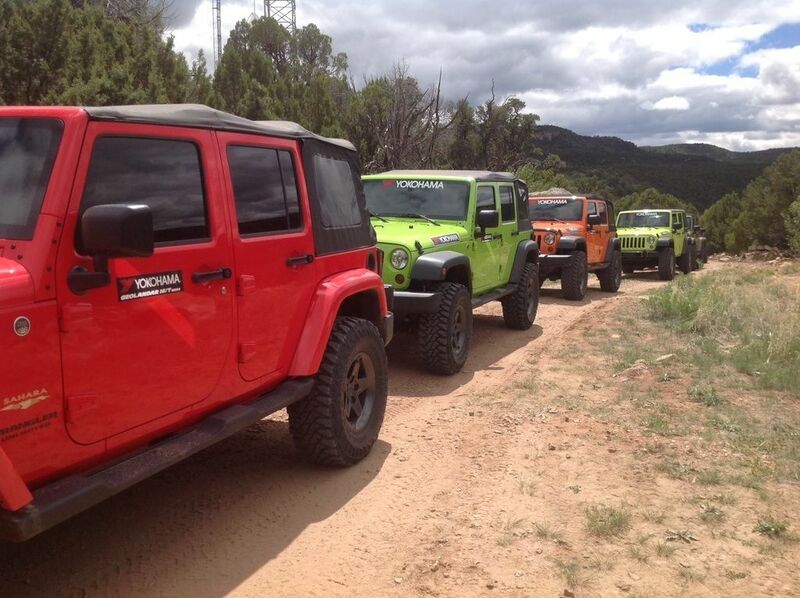 For the next event, we loaded into Jeeps and headed out into open country via fire roads and established trails. These Jeeps had mild 2” lifts and were shod with 35x12.50-17 tires. All-in-all, the tire performed extremely well in all conditions. No punctures, tread chunking, irregular wear, or other issues were observed on any of the vehicles during the testing (note: we were the last group to attend after a week of testing and were told the same sets of tires were used all week). In some of the rock gardens, we purposely tried to puncture a sidewall by hitting sharp, jagged rocks at a bad angle. No such luck, even though the tires were inflated to 30 PSI. Yokohama is being very aggressive with it's re-entry into this segment. Sponsorship of NORRA, NitroCircus, several off-road competition teams, and Horsepower Adventures in Baja are complete. 20 initial launch sizes will begin shipping on July 1st. Stay tuned for more Yokohama product launches in this segment in the coming months! Check out the slideshow below for additional photos from the Yokohama Geolandar M/T G003 launch event. GEO-SHIELD™ Technology - Multiple sidewall plies, steel belts, a full nylon cap and high turn-up carcass provide strength and protection in harsh off-road conditions. Last edited by Discount Tire; 09-01-2017 at 03:04 PM. Here is the first wave of sizes projected to launch July 1st! Additional details, including availability, added to post #2. Is anyone running a set of these yet? How are you liking them? On a side note... you can save up to $135.00 back by mail right now with the purchase of four(4) Geolandar M/T G003 tires at Discount Tire Direct during their 2017 Labor Day Deals - see below for details. 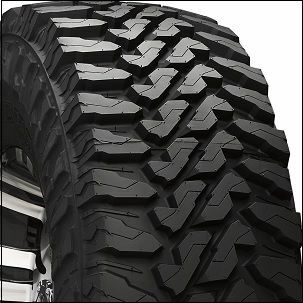 In case you missed it... purchase five(5) Yokohama G003 M/T tires and save $125.00 back by mail! Purchase a set of 4 and save $100.00 back by mail! Now thru October 31st, 2018 receive a $100 Visa Prepaid Card by mail when you purchase a set of 4 Yokohama Geolandar M/T G003 tires!